This week it is the Miami Dolphins for the Patriots home opener. The player to watch out for is defensive end, Mario Williams. Williams was the first overall pick by the Houston Texans in the 2006 draft out of NC State and repaid the favor with 5 dominant years before moving to Buffalo and now Miami. He set franchise records in Houston for career sacks and forced fumbles which have been beaten since by J.J. Watt. In Buffalo, he continued his dominance with 43 sacks over 4 great years but decided to move to South Beach in the offseason this year. So on Sunday afternoon expect this guy to pile the pressure on young Patriots quarterback Jimmy Garoppolo. 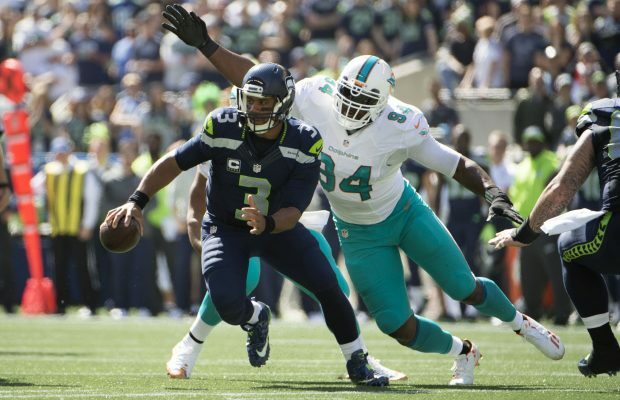 The threat to the Patriots was on show in Miami's season opener against the Seahawks as he battered Russell Wilson's offensive line into submission which led to mistakes you wouldn't normally see from Seattle's quarterback. In combination with Cam Wake and Ndamukong Suh, Williams will look collapse the pocket early and force Garoppolo into throws he doesn't want to make. This is a huge assignment for the Pats offensive line as these three defensive ends have been in the Top 10 in their position for the last few seasons but the key for Nate Solder and co is to stand up to them. If you let these guy's get the upper hand and bully you early, it is going to be curtains for Pats quarterback Jimmy Garoppolo. The Dolphins are a very underrated unit, so don't write this one in the win column too soon.